Why not try making toys for a favorite animal friend at home? Crafts for animal lovers fill these colorful volumes, including easy instructions. Age-appropriate guidance through each fun craft makes this book a great addition to any children’s library collection. Birds are fun animals to watch play. Why not try making toys for a favorite feathered friend at home? 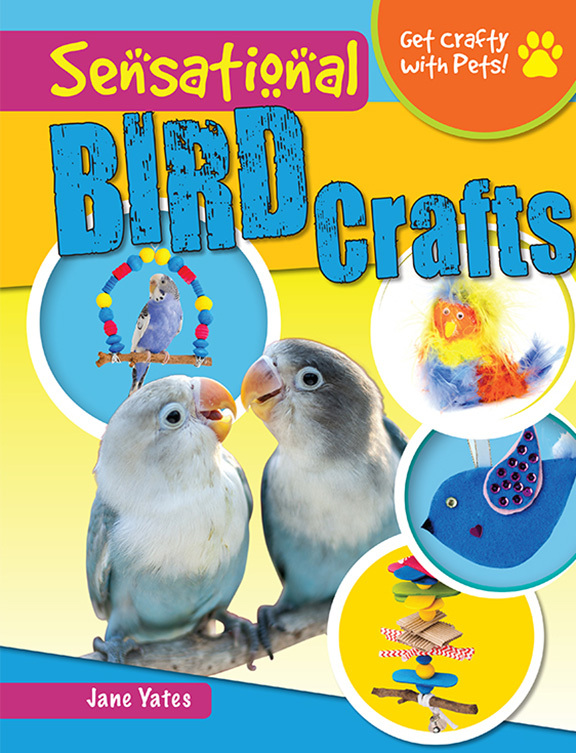 Crafts especially for bird lovers fill this colorful volume, including easy instructions for making a stacking toy, a mirror, and more to entertain pet birds. A felt bird, bird journal, and other bird-themed crafts draw in readers who simply enjoy birds but may not own one. Age-appropriate guidance through each fun craft makes this book a great addition to any children’s library collection. While many people might not know it, bunny owners will tell you their rabbits love to play. Homemade toys aren’t just great to play with, they’re fun and easy to make. 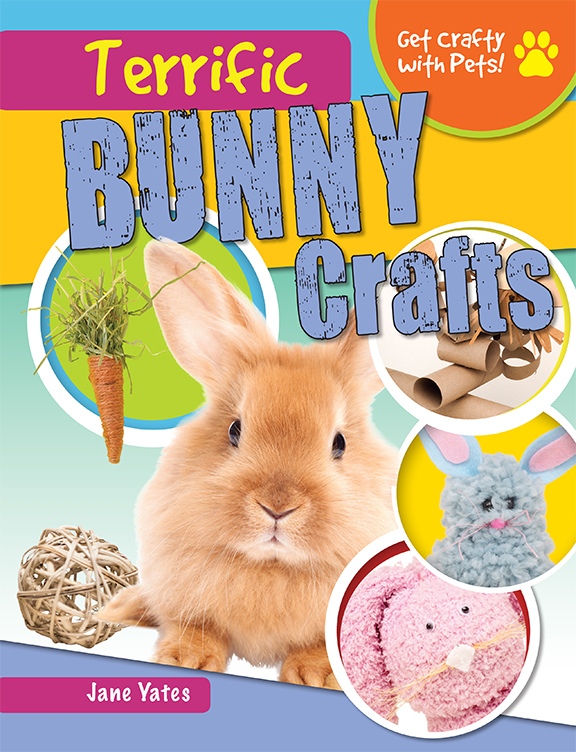 This volume includes more than 10 fantastic bunny-themed crafts, including a willow ball, rag doll, and hay ring for bunny to enjoy, as well as a treat jar, paper maché bunny, and bunny journal for readers of all ages to delight in. Through simple step-by-step instructions, readers can get crafty with their favorite pet for many happy hours. Even though cats are known to be independent, they often still like to play, scratch, and snuggle with their owners. 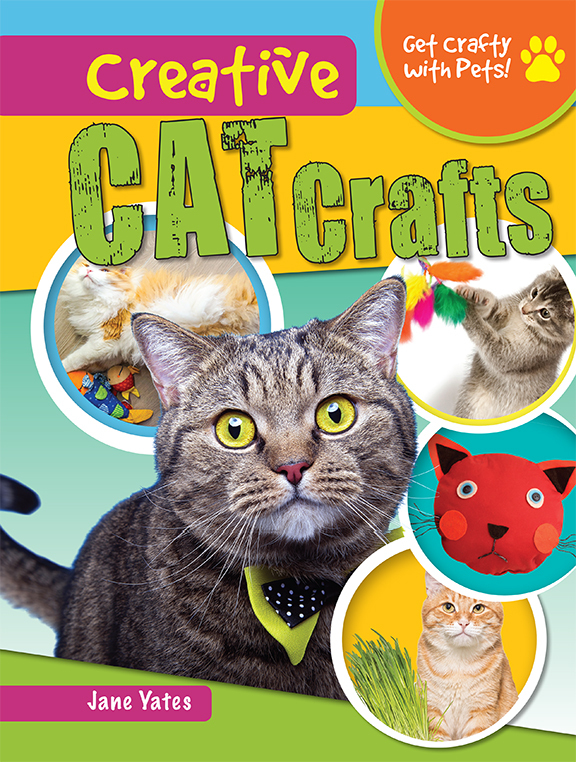 Readers can show how much they love their cat, and cats in general, by enjoying the more than 10 superfun crafts in this book. Felt toys, a cat wand, and catnip blanket are just some of the fun results for kitty, while readers can enjoy making a cat frame and pillow for themselves. Age-appropriate instructions guide readers through each step of the craft as full-color photographs aid them through the toughest parts. If you ask a dog owner what their dog’s favorite toy is, chances are they’ll know it right away. Whether they love to catch tennis balls or snuggle a stuffed toy, dogs love to play. In this book, dog owners can find more than 10 dog-related crafts, including a fleece rope toy and stuffed heart for their pup to play with. 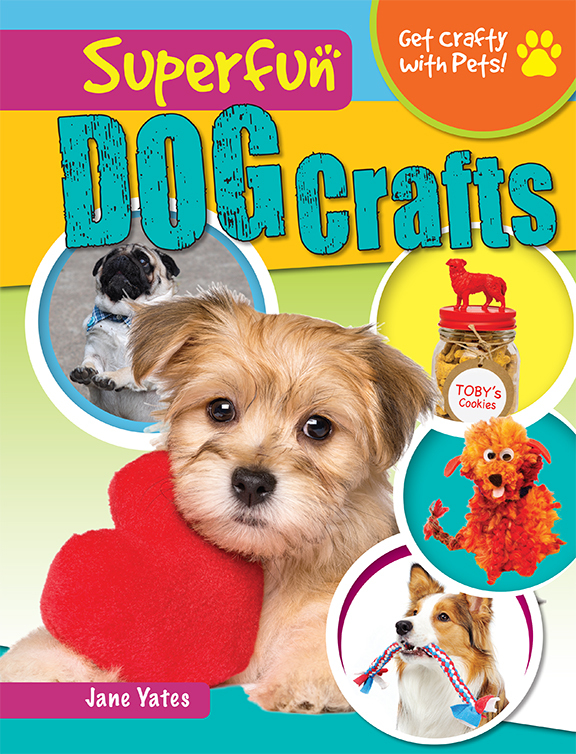 Age-appropriate steps guide readers through each fun and easy craft, including a dog photo frame and a toy box for their furry friend. What could be more fun than watching a cute, fuzzy hamster find its way through a maze? Making the maze yourself! 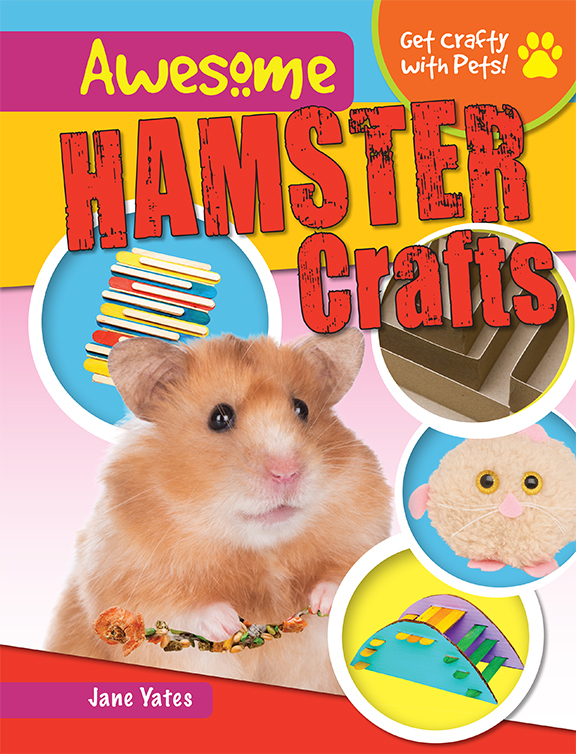 Through this colorful book, readers can do just that, as well as use their creativity to make 10 more awesome, hamster-themed crafts. From a walnut shell toy and climbing wall for a pet hamster to a hamster journal and pom-pom hamster to show one’s hamster love, these crafts engage readers through step-by-step instructions and photographs of each step of the craft. Fact boxes give tips for making each craft better and fun information about readers’ favorite pet, the hamster. Of all pets, horses might be the biggest. To those who ride and show horses, they’re just as lovable as a dog or cat. 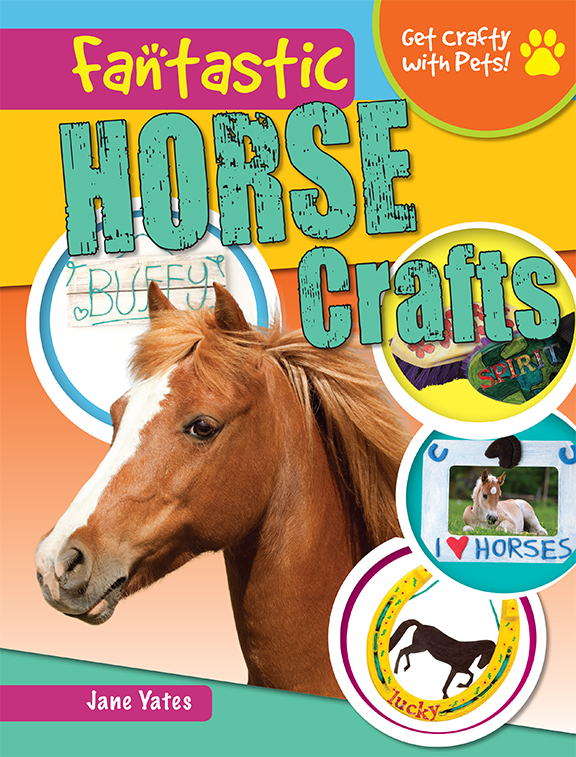 This book guides horse-loving readers through more than 10 crafts, including those made to beautify their horse, such as a ribbon browband and tie-dye saddle cloth. Projects like horseshoe art, a horse photo frame, grooming organizer, and more allow horse superfans to express their creative side while they work on reading and following step-by-step directions. Series developed and produced for Gareth Stevens Publishing by BlueAppleWorks Inc. Marketing copy courtesy of Gareth Stevens. Visit Site.